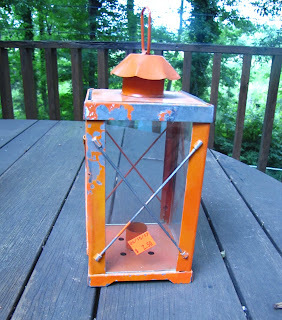 I love lanterns! I was so excited when I found this one at Goodwill for only $2.50. I cleaned it and then sanded the areas where the paint was pealing. Then I gave it a couple coats of this red spray paint I had from a previous project. I think it turned out really cute! And for now it's joined the summer shelves in the breakfast room.